I was impressed enough to make some enquires with Gormo about some aspects of his build as I needed to have a new station building for my Tawnton & I was not inclined to do another Scalescenes one. So with blatant plagiarism, I intend to use some ( if not a lot) of Gormo's ideas for my version. This will get started in Mid-June as part of our NMRA table at a large model rail exhibition. 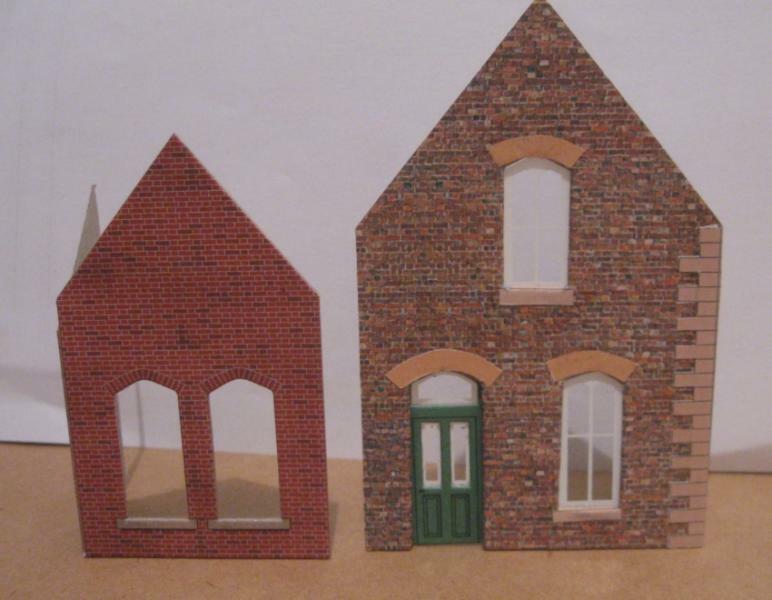 One change will be the colour of quoins, etc and the attached is what I am planning to use - these have been modified from the Files that Gormo sent me - thanks Brian for those. 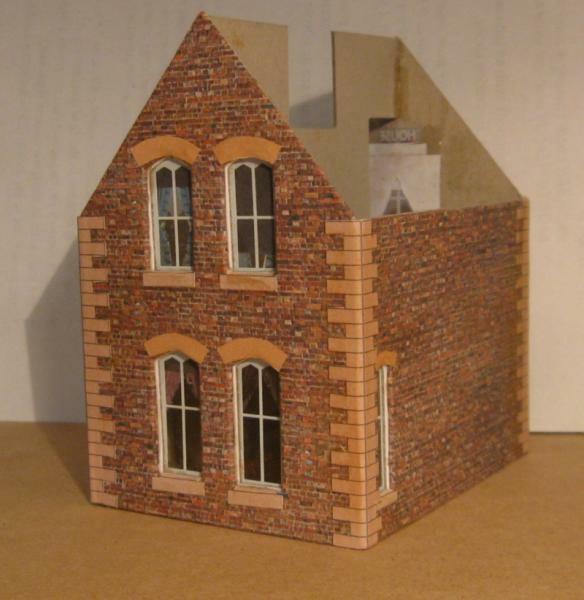 I`ll be interested to see your version........the basics of the kit are good....it`s the detail and those corners on the Metcalfe kits that let them down. Take a look at Sparky's Blossom Hill. He upgraded the old Metcalfe station by adding Scalescenes sheets it worked well. 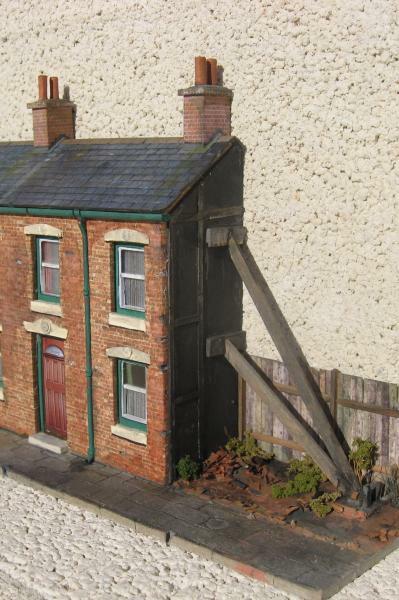 I spoke to Reg about this and his view is that the weakest area of Metcalfe kits are the roof tiles. They all look the same and lack depth, looking shiny from some angles. Got started a couple of weeks ago, slowed down but now back into it. Nice job Sol. Are there to be quoins to the left hand corner? Possibly it will join another section ? Working on more sides today, adding curtains & blinds. choose the curtains to match the interior of the room! especially if they were lined (for heat loss or black out). Now, where's that bus I need for my overbridge! Very true Jeff. I do know the curtains that my homes had were white lace so white both sides & now days I have light grey vertical closing blinds with no curtains. But I will have a look down the street to see what else is used. Thats why I just use masking tape for curtains. I once spoke with my Aunt about the cultural differences of living / working in Australia verses her time in China. Amongst the items mentioned was the way curtains are hung. She said that some cultures hang the pattern out to impress everyone else while others hang the pattern inwards towards the room. I actually looked at some in the street, those that do have curtains & most of them are white lace it seems. I that it's called scrim, Sol. Sol wrote: I actually looked at some in the street, those that do have curtains & most of them are white lace it seems. Here's a quick work round for lace curtains/scrim....Fag paper with a series of random vertical lines drawn with an ordinary 2B pencil. Looks great Ron - such an improvement. What type of glue do you use to fix down the paper? Also, do you spray the paper with something to fix the print ink?